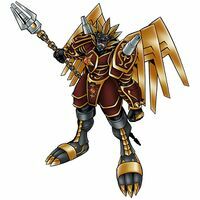 A Digimon that possesses power over Darkness that has transcended legend by inheriting all the might of one of the legendary Ten Warriors and acquiring unknown abilities. 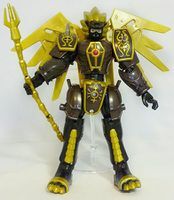 There are none who have seen this hero, and due to the fact that it doesn't leave behind so much as evidence of the opponents it has confronted, it is called the "Guardian Emperor of Darkness". 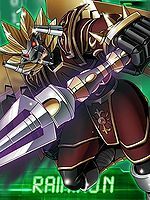 Its Special Moves are disabling all of the laws of physics in the surrounding region and bringing down the opponent (Schwarz Lehrsatz), and an attack fired from the eyes of the lion on its head (Rot Kreuz). Title: 「闇の融合闘士」 — "Fused Warrior of Darkness"
「闇の守護帝」 — "Guardian Emperor of Darkness"
A romanization of 「ライヒ」, translating as "Reich", meaning "empire". Disables all of the laws of physics in the surrounding region and brings down the opponent. An attack is fired from the eyes of the lion on its head. 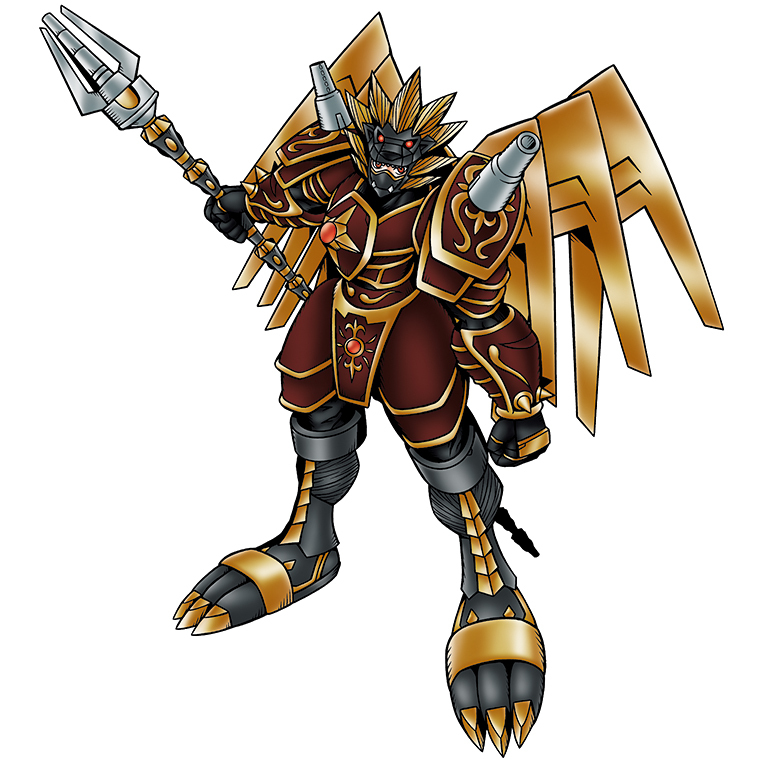 Raihimon is available as a Digimon Medal. Raihimon is the partner of Kimura Kouichi. 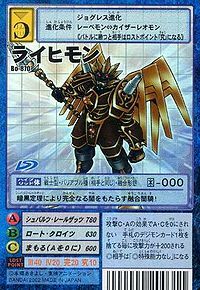 This fused dark knight brings about perfect darkness with its Schwarz Lehrsatz!